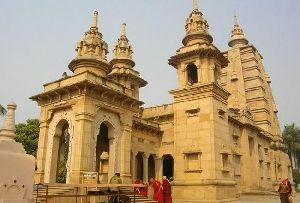 Atala Masjid in Jaunpur, India is one of the chief Tourist Attractions in Jaunpur. 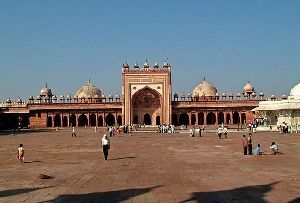 The mosque bears the evidences of the times in which it was built. 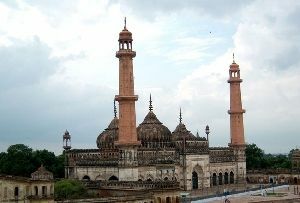 In addition to this, the Atala Masjid, Jaunpur is a useful specimen of mosques, not only in Uttar Pradesh but also in India. 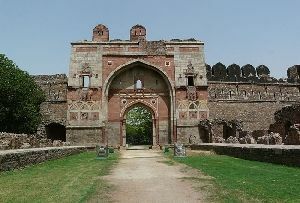 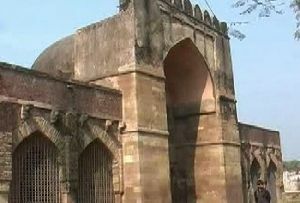 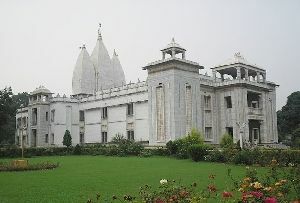 The Jaunpur Atala Masjid was built by Sultan Ibrahim. 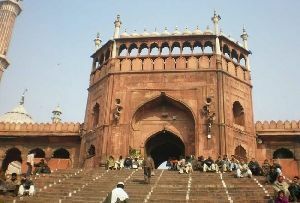 Though the emergence of this mosque dates back to 1377 A.D., the construction work was completed in the year 1408. 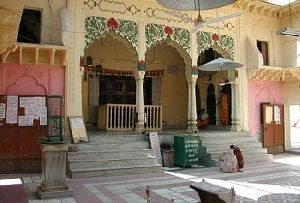 The chief feature of Atala Masjid, Jaunpur is that in spite of being a mosque and that too, built by the Muslims rulers, the Masjid shows a lot of influences of Hindu architecture. 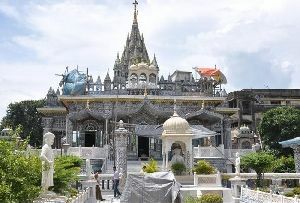 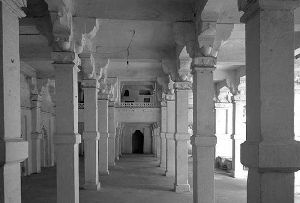 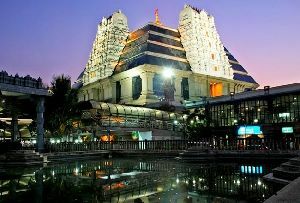 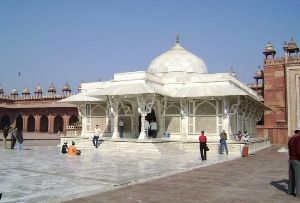 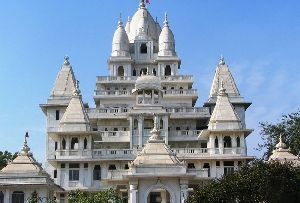 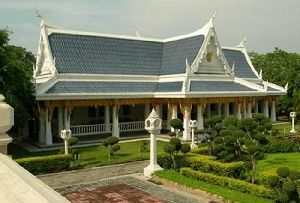 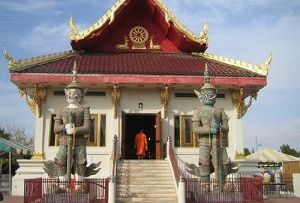 In fact, there is a clear resemblance of Hindu style of architecture, in the entire Masjid. 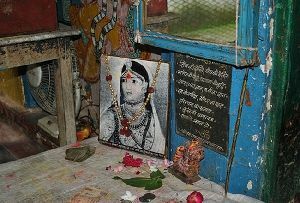 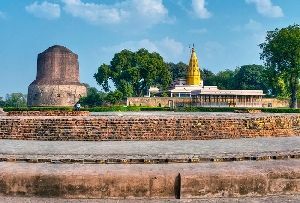 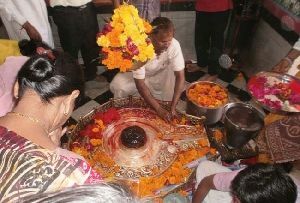 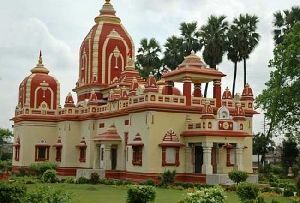 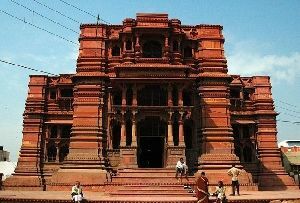 The reason for such similarity is due to the fact that the Atala Masjid, Jaunpur is situated on the site of a Temple of Atala Devi. 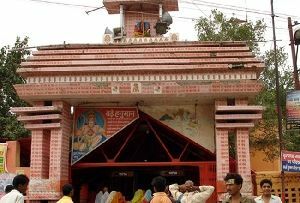 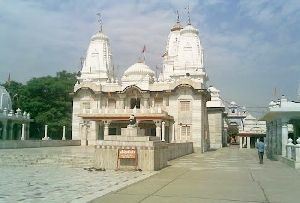 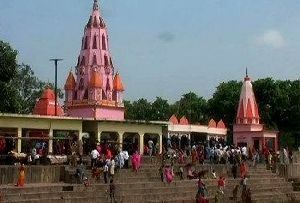 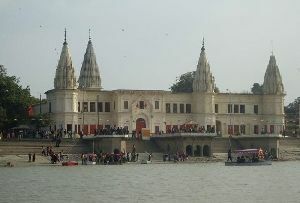 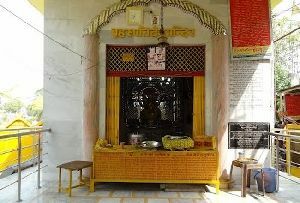 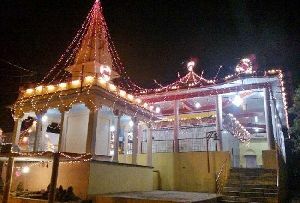 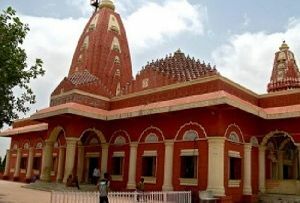 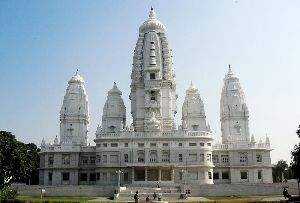 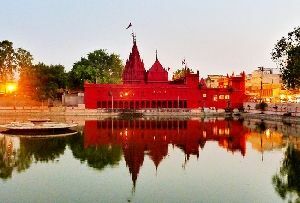 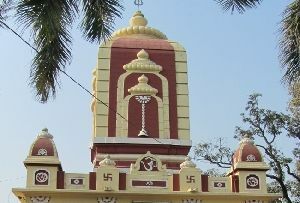 Hence the Atala Masjid, Jaunpur also gets its name from this Hindu Temple. 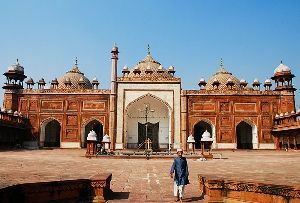 On the other hand, the Bagampur Masjid in Delhi is also believed to have influenced the construction a great deal. 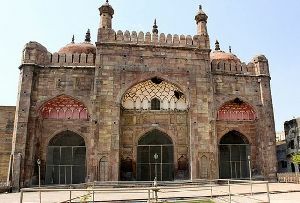 The presence of niches, inclined walls, the form and structure of beams and pillars, resembles the mosques, tombs and other buildings that were built by Sultan Muhammad Shah and Firoz Shah Tughlaq of the Tughlaq Dynasty of the Delhi Sultanate. 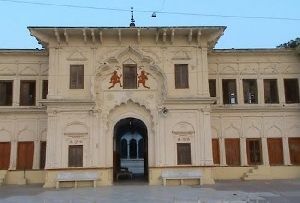 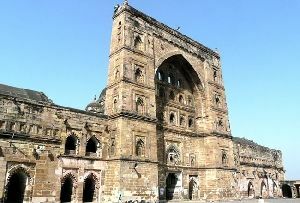 The central portico of Atala Masjid in Jaunpur, India has a stately arch. 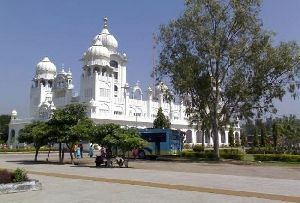 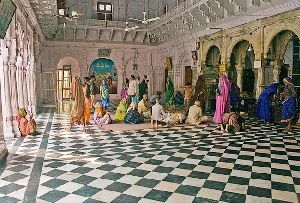 Inside, there is a massive hall, which is the main prayer room. 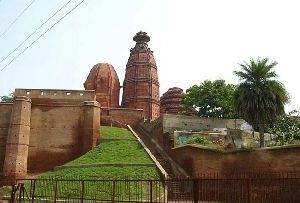 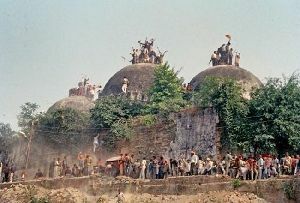 The three domes of the Atala Masjid, Jaunpur differ in size. 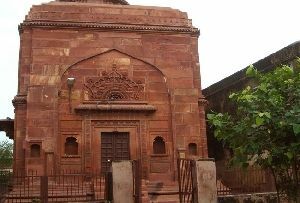 The 'mihrab' (the niche in the wall of the mosque, which indicates the direction of Mecca), the decorations of the prayer room as well as the two-tiered corridors are the other features of Jaunpur Atala Masjid, which are noteworthy. 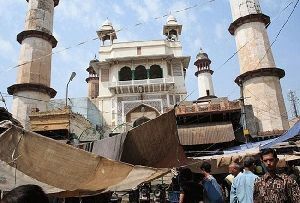 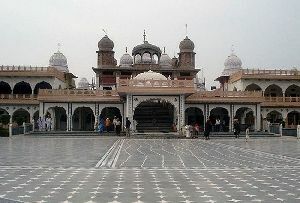 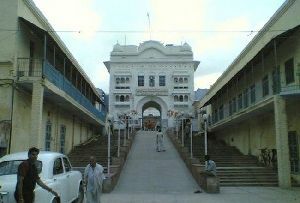 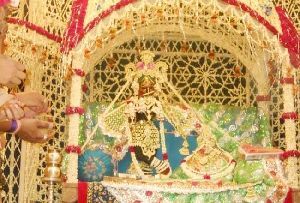 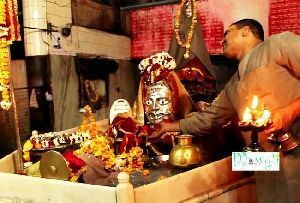 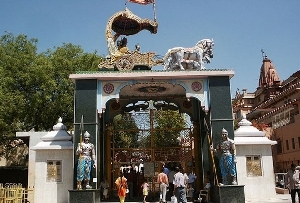 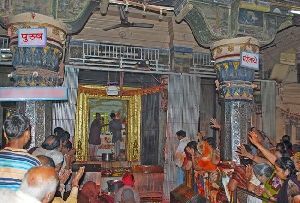 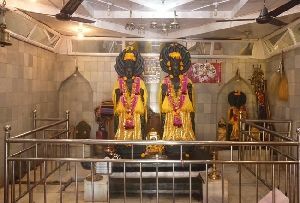 Atala Masjid in Jaunpur is open for its devotees from 7.30 in the morning till 8.00 at night. 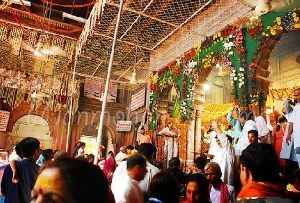 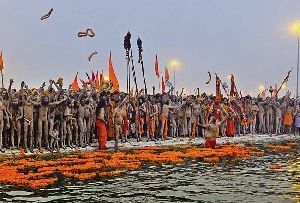 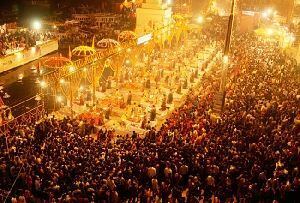 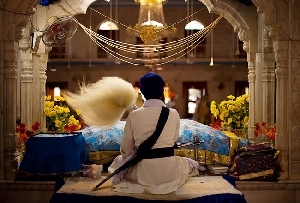 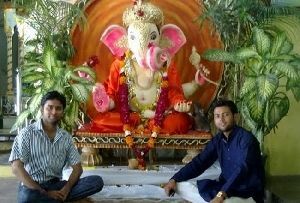 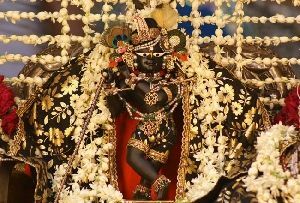 Besides, special prayers are held every Friday. 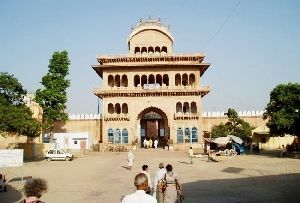 Located 3 kilometers away from the Railway Junction at Bhandari, one of the easiest ways to reach Atala Masjid at Jaunpur is by availing the bus or train services from Varanasi (Benaras), which is separated from Jaunpur by a distance of 56 kilometers. 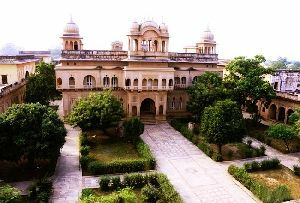 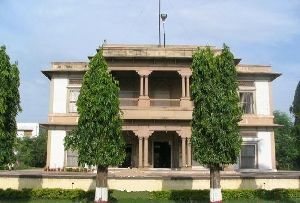 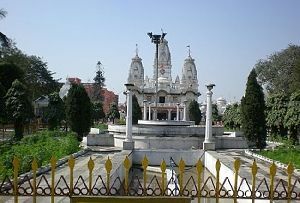 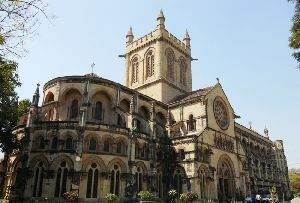 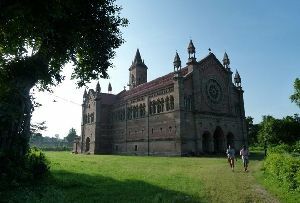 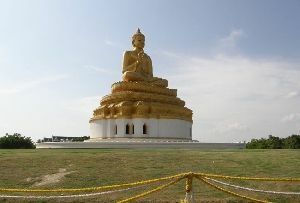 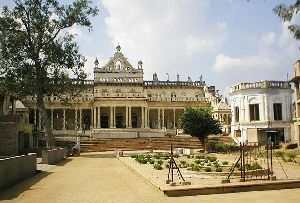 Lucknow and Mirzapur are the other two cities located at a distance of 214 kilometers and 69 kilometers respectively.